Click or tap a product below to “GET A PRICE” and place your order today. Make a lasting impression with our alluring postcards. Any Budget Printing & Mailing is a one-stop-shop for all of your printing and mailing needs. 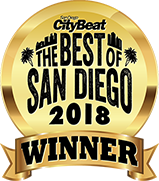 Headquartered in San Diego, California, we have been serving the community of San Diego County and beyond since 1999. Today, we're also part of a nationwide network with production facilities in 12 other cities across the United States: Los Angeles, Las Vegas, Phoenix, Miami, Boston, New Jersey, Dayton, Ohio, Arlington, Texas, Seattle, Salt Lake City, Chicago, and Raleigh, NC. So, no matter where you live in the U.S., you'll get your order shipped to you from one of our nearest production facilities in just a few days. You design it, we print it. We have printed thousands of different projects over the years, including banners, brochures, business cards, flyers, postcards, stickers, magazines, and envelopes. Our printing process utilizes the most advanced software on the market in conjunction with our unique pre-press methods, which allows us to offer super FAST turnaround on most printing products. UPS is our main shipping provider. Pickup at our San Diego, CA location is always FREE. Whatever type of business you're in, we're confident that you'll be able to take advantage of the services we offer. As long as you need something printed, please don't hesitate to contact us. Why Choose Any Budget Printing & Mailing? Simply put, your printing needs will always be met; whether you are an entrepreneur who requires professionally-printed business cards or you're part of an organization that needs flyers, presentation folders, or postcards printed for the next event. Most projects go through several steps before we consider them fully complete, which means you can always expect your printed materials to look professional. Your business will look more professional. Gain recognition for your business with flyers and brochures. Save time, effort and money by hiring us as opposed to printing yourself. Contact us today and share your idea. We'll turn that idea into reality. We support our active duty military and military veteran community. Are you or a family member an active duty military member or veteran? Ask about our military/veteran discount program today. Thank you for your service to our nation!